Rosetta Ristorante | 15,000kms of Food! Every time I walk past Rosetta Ristorante I am in awe of how gorgeous the restaurant looks. Naturally, I expect matching food. And the food does match, in that it’s sophisticated and refined. However, this is pasta! And I want hearty wholesome rich dishes of Italian goodness – which means I wanted bigger serves! As I was there with my friends Mariella and Kristine, we shared 2 pasta dishes and a dessert. 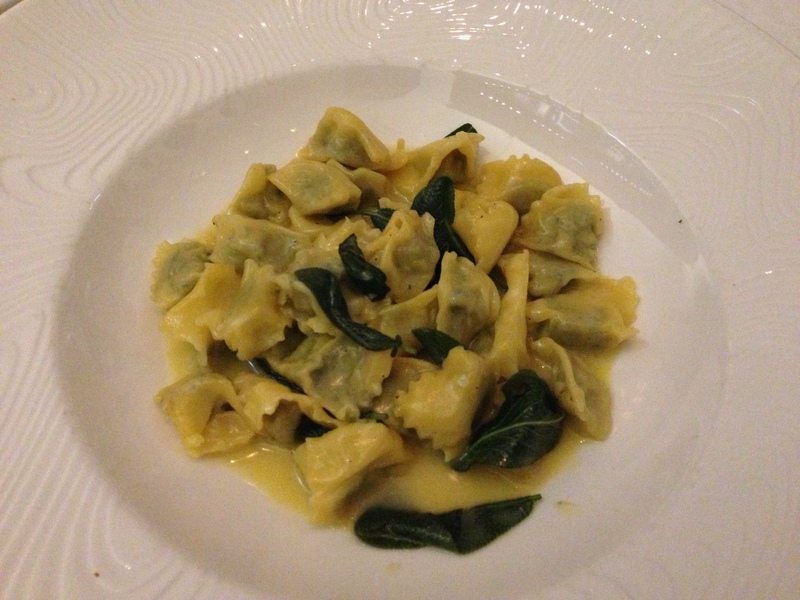 Started with the “Agnolotti alla Plin” which was described as small ravioli of roast rabbit, veal and pork. It was amazingly tasty morsels of pasta with a nice mix of textures (buttery sauce, silky pasta, meaty filling). 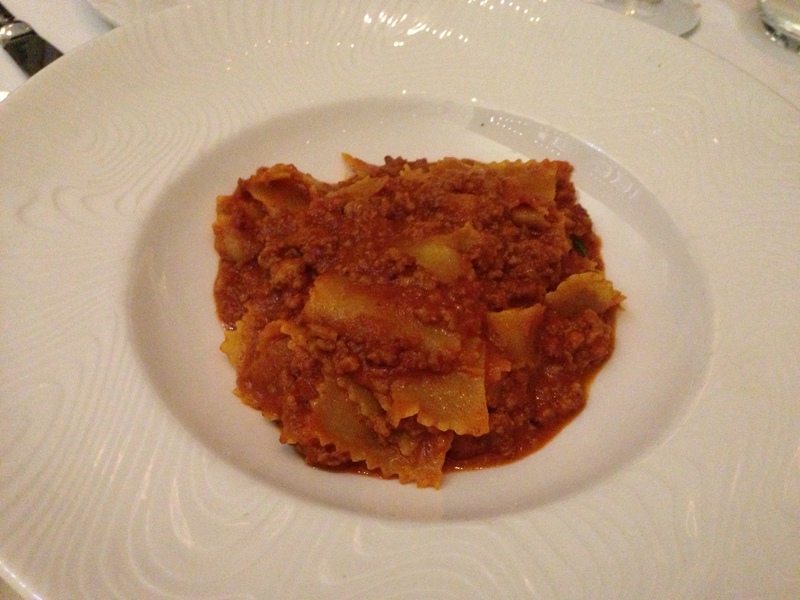 Next up we had the “Pappardelle Ragú Bolognese“. A simple dish with good sauce, perfectly cooked pasta. Dessert was an exceedingly cold “Torrone al Cioccolato” which was a frozen chocolate, peanut and coconut semi freddo. I was not a big fan of this one. It was a bit hard and difficult to eat, and the taste lacked a certain panache. So, overall, good pasta but serves could be bigger. Dessert left much to be desired. Would I go again? Yes, as I think Rosetta deserves a second chance. Watch this space. 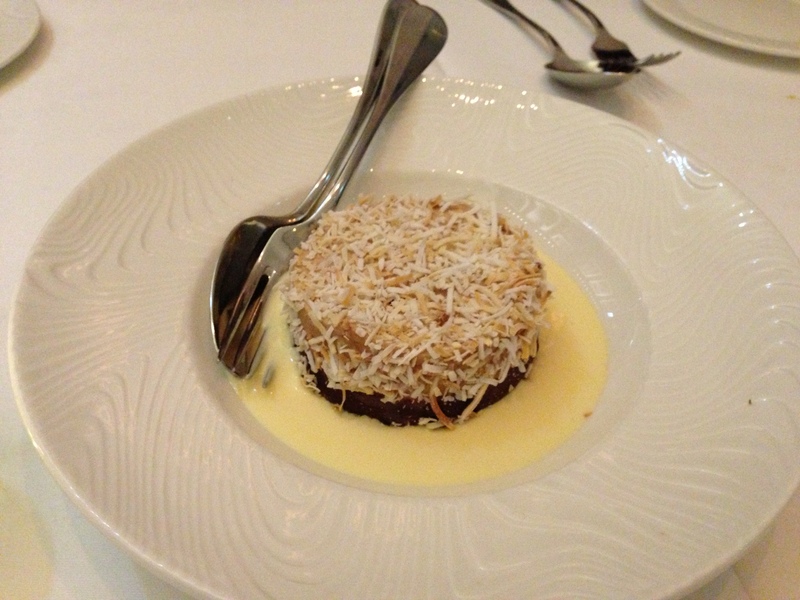 Previous PostBangkok fine dining: Issaya Siamese ClubNext PostVirginia Plain – Worth a try, but Cumulus is right next door!